Women fencers after a great weekend of competition. 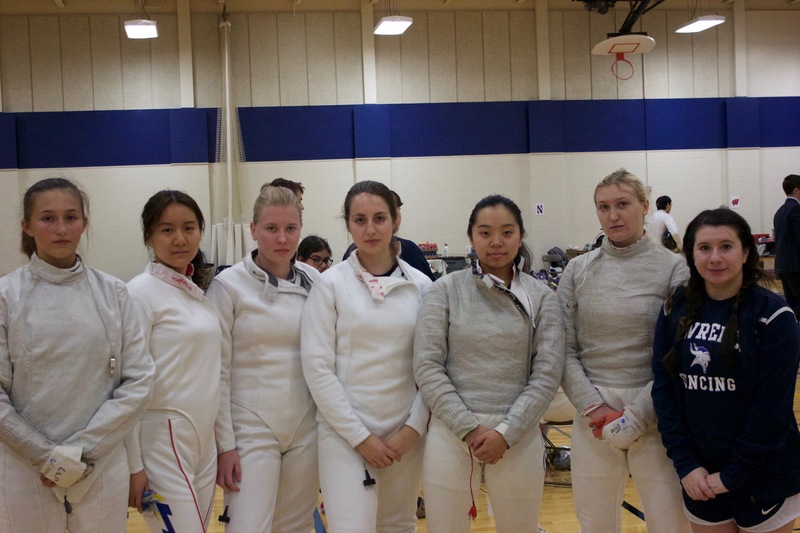 It was a busy weekend of fencing for the Lawrence University men’s and women’s fencing teams. This past weekend, both teams made the trek down to South Bend, Ind. to compete at the DeCicco Duals fencing competition hosted by Notre Dame University on Saturday, Jan. 26 and Sunday, Jan. 27. The Vikings matched up against 12 different varsity and club teams from a wide variety of schools. “We compete against big name universities like Notre Dame, and it’s a bit intimidating to see their team which is probably about three times the size of our team. It’s a bit nerve-wracking, but the Lawrence team brings a lot of high energy and school spirit,” said junior Allison Kim. The women had a strong performance during the two days of competition, picking up a total of eight victories. They beat Detroit Mercy 22-5, Florida 14-10, Indiana 16-10, Case Western Reserve 23-4, Purdue 14-13, Michigan State 14-10, the University of Chicago 14-11 and Denison 17-9. 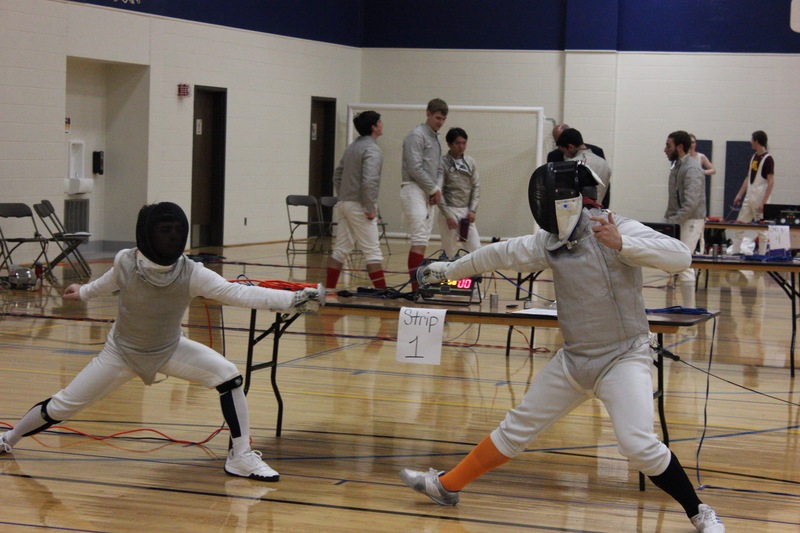 All of the squads—sabre, foil and epee—had strong showings throughout the competition. Epee went a perfect 9-0 against Detroit Mercy, sabre ran the table against Florida going 6-0 and foil added a perfect dual of their own as they went 9-0 against Case Western Reserve. Lawrence also matched up against some tougher competition, as they lost to Notre Dame 25-2, Wayne State 14-12, Wagner 15-12 and Michigan 15-12. Overall, the Lady Vikes were a solid 8-4 in duals over the course of the two days. On the men’s side of the competition, Lawrence also put up some strong performances. The Vikings won four matches, beating Florida 17-10, Indiana 14-13, Michigan State 15-12 and Denison 15-12. The Lawrence epee squad went 9-0 against three teams, Detroit Mercy, Florida and Indiana, and went 8-1 against Michigan State. The foil team also had some solid showings, as they were 8-1 against Denison and Florida and 7-2 against Michigan State. Like the women, the men faced some stiff competition as well, as they lost to Notre Dame 23-4, Detroit Mercy 14-13, Wayne State 20-7, Northwestern 18-9, Michigan 18-9, Purdue 15-12 and the University of Chicago 18-9. Overall, the Lawrence men were a respectable 4-8 in the duals. This competition was the team’s first after returning to campus in January. “We are at the beginning of our season. This past weekend’s competition at Notre Dame was our first NCAA competition. Next week is our second competition at Northwestern. So far, the team has performed really well, but since we’ve only had one competition, it’s hard to predict how we’ll do next week against different varsity level schools,” explained Kim. Men’s fencers face off in epic battle.